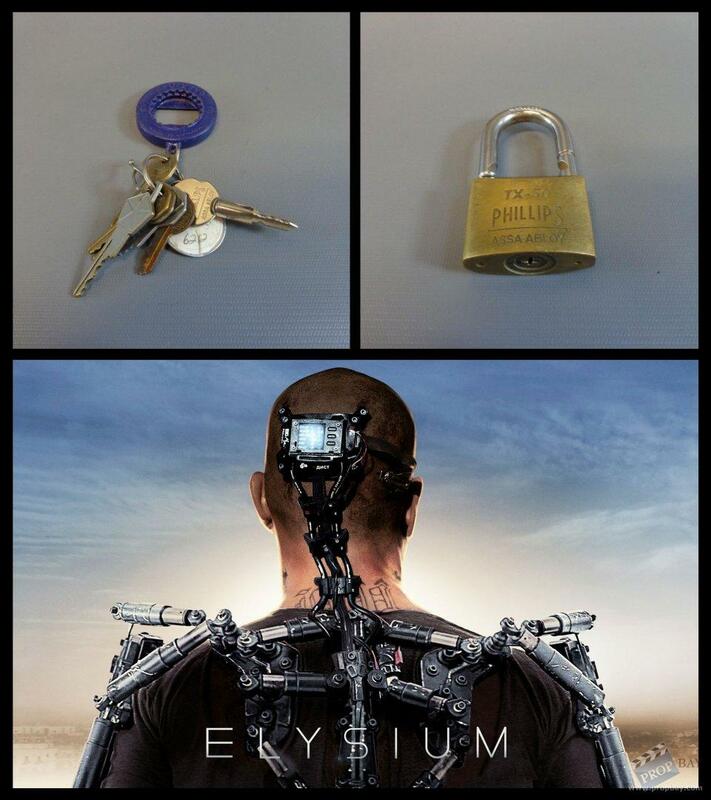 This is a Max Da Costa (Matt Damon) production used Padlock and key set. The padlock is a Phillips TX-50 Assa Abloy padlock, which is gold in color on the base and silver on the loop. It comes with a keychain that has 7 prop keys in addition to a bottle opener, name tag and the key to the padlock. The padlock does stay locked and only unlocks with the key. Comes with a COA from Media Rights Capital (MRC) and VIP Auctions. Added: 07-01-2014 - Viewed: 1115 times.